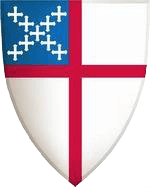 The only Episcopal church in Frankfort, Ascension is grounded in scripture, tradition, and reason. We hold God’s word as sacred, follow the Book of Common Prayer in our worship, and respect the capacity of individuals to explore and discern the truth of God. We welcome you to join us. We open our doors daily for timeless worship, thoughtful study, meaningful service, and hearts embraced by Christ. All baptized Christians are welcome to receive Communion at God's table in the Episcopal Church. Come. Music is integral to our worship at Ascension, though some services are intentionally quiet. You are always welcome to participate in our choir as a means of sharing your musical gifts. We also host various celebrations and musical events throughout the year. What can you expect when you visit us? What is expected of you? When you visit our church, you will be a respected and welcome guest. You will not be singled out in an embarrassing way. You will worship God with us.